So, I guess you figured from the title that I jumped on the Whole30 train, which is one of my 101 in 1001 goals! Well, yesterday marked the halfway mark (15 days! ), and I haven't cheated once. I am so proud of myself. I always thought I had no self-control, but that is one of the things I've learned over these past 15 days - I do! I do have self control, and it feels good to know that I can do what I set my mind to. In this post, I wanted to share some things I've felt and thought over the past 15 days, as well as what I'm mostly living on right now. I am exhausted, all the time. Is that normal? I will literally sleep for 12 hours and still be exhausted, then take a nap. What is life? My blood sugar has dropped several times. I'm usually full of carbs - just overeating them - which gets my blood sugar all out of whack. So, I think that by doing the Whole30, I will be able to choose better portion sizes once the 30 days is up, and continue to bring my blood sugars down (but also hopefully keep them more stable). 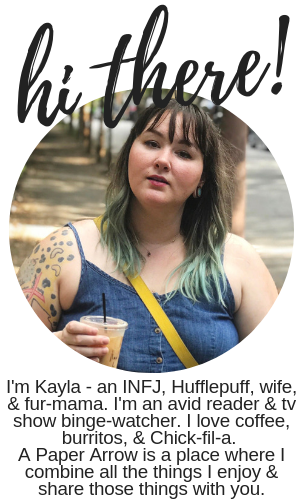 I've surprisingly said no to a lot of things that were probably delicious: banana bread, chocolate cake, sandwiches, new Starbucks drinks that sound so wonderful. Within my first five days, I received a free deluxe chicken sandwich coupon from Chickfila, a $5 Zaxby's gift card, the banana bread, and I don't even know what else. Oddly, saying no hasn't really been difficult, but at the same time, I do miss my usual meals. I'm living on a lot of homemade chicken salads with lettuce, black coffee, apples and almond butter, and Larabars. I'm really not wonderful at meal planning, but it hasn't been terrible. The worst thing is (of course) how expensive fresh produce and good meats are. I go frozen when I can (fish and veggies), but everything doesn't come frozen. I found some great all-natural angus beef hotdogs and I've been eating those a lot, dipped in mustard, or mixed in with potatoes, bell peppers and onions. What's craziest to me is how much stuff has sugar in it. Basically all the bacon, all the lunch meats, chicken at Chickfila. Everything has sugar added to it and it's really blowing my mind. I pick up probably every single thing at the store to see what's on the ingredient list and, seriously, so much sugar. Well, I'm more than halfway there and I know I will be able to get through these full 30 days. At the end of the 30 days (February 6), I'll share a full recap and some of my favorite recipes, so make sure to keep an eye out for that post around early February! 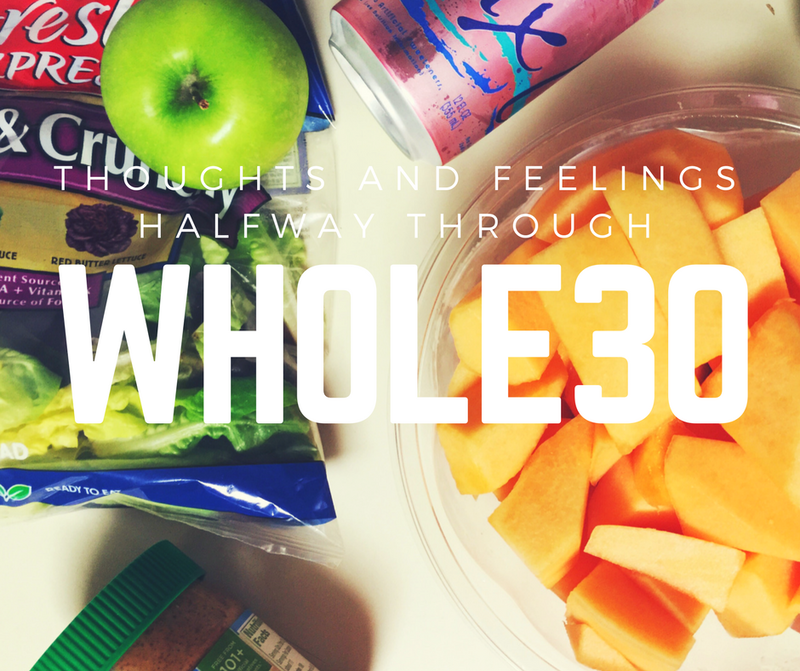 Have you tried to Whole30? How did it impact you? Halfway is AWESOME! I really enjoyed reading your thoughts and hearing that is isn't overwhelmingly difficult. My husband has really wanted to try this recently. Can't wait to hear how the second half goes! Hopefully your husband will enjoy it. I look forward to finishing, but I feel healthier for sure. That sounds really awesome and now I'm a bit tempted to try it out! I'm glad that it wasn't as difficult as you expected, though I barely have any self control so I would probably crack under pressure lol. Yeah. I have no self control, so I am still surprised at myself for following the rules and not cheating! AMazing job! I don't know that I have the willpower but that's so awesome you're halfway there! Go girl !! I didn't think I could do it. But every day, I get closer and closer to the end of the 30 days still going strong! I feel so proud of myself.